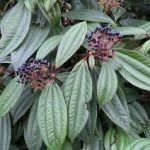 Last week I gave a talk at Bullington Gardens about Viburnums. My goal was to introduce some less well-known species and to get the group excited about this genus. 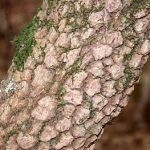 In the process of researching my topic, I got pretty stoked about Viburnums myself! 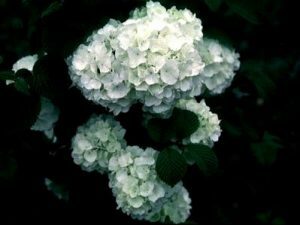 As source material, I used Viburnums by Michael Dirr, his web page www.dirrplants.com/viburnum-for-american-gardens, and an online Viburnum nursery, Classicviburnums.com, offered by Gary and Sue Ladman. Gary spoke to me at length, particularly about pollination. What an informative and generous nurseryman. 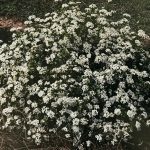 Did you know that there are over 150 Viburnum species or intersectional hybrids? I was surprised. 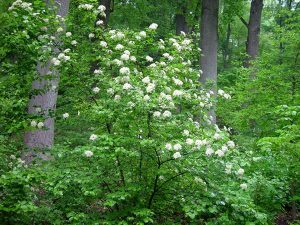 My talk was organized around a sample of Viburnums for Fragrance, Floral Show, Fruit, and Foliage, and finished with Using Viburnums in the Landscape. 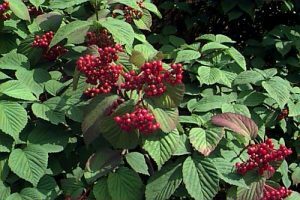 By the end of my talk, everyone was ready to add at least one new Viburnum to their gardens. 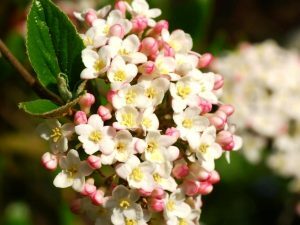 Viburnums for Fragrance include V. x burkwoodii, one of the earliest fragrant bloomers. Also in this category are V. bodnantense ‘Charles Lamont’, V. carlesii, and V. carlcephalum. 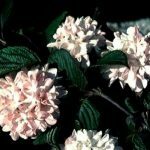 Viburnums for Floral Show include V. x macrocephalum, V. plicatum f. plicatum ‘Popcorn’ and ‘Mary Milton’ (a pink), and of course V. plicatum f. tomentosum ‘Shasta’, ‘Pink Beauty’, and ‘Summer Snowflake’ which reblooms throughout the summer. 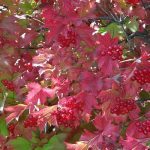 Viburnums for Fruit include V. trilobum (native), V. dentatum ‘Blue Muffin’, ‘Autumn Jazz’, and ‘Chicago Lustre’, and V. dilitatum ‘Cardinal Candy’ and ‘Michael Dodge’ (yellow fruit). My big ‘ah ha’ regarding this genus is this: Viburnums may set sporadic fruit without a pollinator, but to get a really good fruiting you need two ‘compatible’ Viburnums but they can’t be genetically identical. This can be tricky and I highly recommend researching the best pollinators for the species you’re interested in. 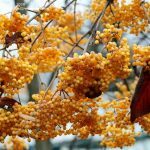 Unlike Ilex verticillata which is also often selected for fruit and needs one male plant to every five or so female plants, Viburnums are monoecious, having both male and female parts. 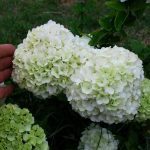 The upshot of this is, if you get two compatible Viburnums, they will BOTH set fruit and you will have twice the show. Among other things, to be compatible the plants must flower at the same time. 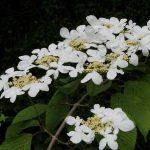 According to Gary Ladman who has done a study of flowering times of viburnums, not all V. dentatum cultivars will pollinate each other because their flowering periods are a few days off. 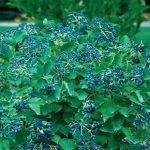 V. dentatum ‘Blue Muffin’ is an extremely popular plant because of it’s gorgeous blue fruit. However, V. dentatnum ‘Chicago Lustre’ will not pollinate it as the flowering periods do not overlap. V. dentatum ‘Autumn Jazz’ will pollinate ‘Blue Muffin’, but he recommends V. dentatum ‘Little Joe’ because it flowers at the same time and it is a smaller plant that is more easily incorporated into the landscape. 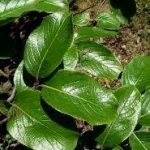 One more note about this group: Viburnum dilitatum is beautiful in fruit but it is listed as invasive in parts of the Mid-Atlantic and Northeastern US. 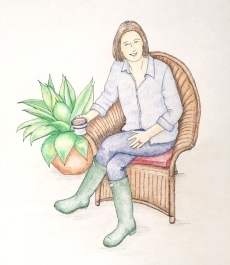 so choose this plant with care based on your geography. 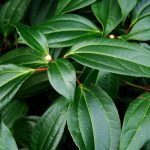 Viburnums for Foliage include our native V. rifidulum which has glossy green leaves, V. awabuki which is evergreen where hardy (Z 7 – 9), and V. x Pragense which is also evergreen. 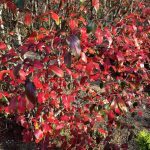 Viburnum rifidulum, Southern Blackhaw Viburnum, has beautiful foliage, nice fall color and interesting bark. A great native plant. V. cinnamomifolium which has a wider range and similar, but not quite as incredible, leaf. Two very attractive dwarf plants: V. obovatum ‘Rifler’s Dwarf’ and ‘Mrs. Schiller’s Delight. They get 2′ – 3′ high x 3′ – 4’ wide and fit nicely into small gardens. 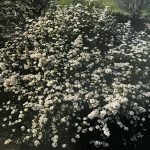 And there are many more lovely and useful Viburnums to choose from to use as specimens, near a walk or bench for fragrance, in mixed borders and as screens and hedges. I hope that you too take another look at Viburnums. I walked through a local nursery last Sunday and found a V. plicatum f. plicatum ‘Popcorn’ that I just couldn’t pass up. 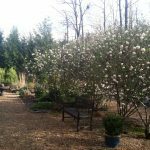 I am starting to think about a Viburnum Walk down to the studio. It will take some clearing, but it’s good to have a big new project!